I am still digesting my experience at the Toyota Kata Summit (KataCon) and the TWI Summit but I wanted to reflect on one of the emerging themes, and some of the reactions. Books have been written about “organizational culture” and trying to create models that define “it” in some way. In the end, I think they all come down to various ways of saying “how people talk to each other.” This includes who talks to whom, and what structures and rules guide those conversations. When we study “culture” we are looking at the groups’ default patterns of interaction. If we want to change those patterns, we have to alter people’s habitual behaviors. As I said in my KataCon keynote, This. Is. Hard. It is even harder when you are talking about group behavior vs. simply individuals. The point of using Toyota Kata is to practice and learn a scientific mindset. Getting an improvement storyboard set up that is focused on a challenge, and going through the Starter Kata of Grasping the Current Condition; Establishing the Next Target Condition; Identifying Obstacles; and Running Experiments Against Obstacles is a technically straight forward. It is easier with an experienced coach to help you through it, but can be learned on your own if you are willing to be self-critical and persevere through things not working as well as you thought they would. This means (to me) that, while actually practicing the Starter Kata is very important, getting people to do so in the first place often requires leading past the technical aspects. It requires altering the way people interact and work together. Of course this is ultimately the work of line leadership, represented by the “advance group” or “steering team” or “shepherding group” or whatever you call them. Sometimes those people, too, have to learn a new way to lead and manage. They further assert (and I agree) that leadership is an activity, not a position. I am bringing these things up because if we want an organization to begin practicing ways to engage one another differently, it is common to run into resistance. In other words, we must mobilize people to do the difficult work of changing their default thinking and routines of interaction. In doing so, we will surface clashes of hidden values, senses of loss, anxiety and fear: Things which cause people to find reasons to opt out of participating. Actually the message of “adaptive leadership” has been present since at least the first KataCon back in 2015. One of the mantras that emerged that year was “Kata your Kata” – in other words, there isn’t a clear-cut path that works every time. You have to learn your way into it as an organization, as a leader. The difficult part is that this requires going in deeper than the Starter Kata, and applying the underlying pattern of Challenge; Current Condition; Target Condition; Experiments against Obstacles. The pattern is the same, but this isn’t about cycle time variation, it is about influencing (mobilizing) people, reaching agreements, encouraging them to “just try it” – in a process of discovering what works in that case, with those people, then doing it again. So… if we are going to get Toyota Kata out of the classroom, and past the first challenge or target condition into a sustaining, habitual process, we’ll have to address cultural issues. The skill set for this is different than a technical process change skill set. We’ll have to learn our way through the grey zone for this part as well. I’d love to see your thoughts and comments. In this video clip, author and speaker Simon Sinek articulately explains why the things that matter most aren’t measurable, nor can they be created over the short term. Watch the video, then I’d like to extend his thought process into continuous improvement. The idea of doing the little things consistently over time is a powerful one that we often overlook in our hurry to show a spectacular result this week. We don’t get results from the big action we are taking today. We get results when business-as-usual is getting the little things right the vast majority of the time. Let’s extend his line of reasoning down a level. “At what point could we say we were living continuous improvement every day?” How can you measure that? Just like his analogies in the video, there isn’t an answer to that question. You can’t measure it. The idea of putting “culture change” on a project plan makes no more sense than a project plan for “falling in love.” You start to do the right things, and keep doing them, and at some point you realize the conversations are between the right people about the right things. The results we are getting today – the success of our organization against any metric you choose; the organizational climate and culture; the initiative people collectively show; the quality of our own life results – are the cumulative outcomes of the decisions we have consistently made. If we want different outcomes, then we have to work to change what we consistently do. This will take time. Sinek points out that there is space for exceptions, making mistakes here as long as we recognize them, recover, reflect, and continue to make the effort. If this is a change in your default behavior, then this effort requires deliberately and explicitly comparing the conversations, actions and decisions that are actually happening with a baseline for comparison. “On a scale of 1-10, did I make my very best effort to be consistent with these values today?”* Ask that question every single day, and write down the number. Oh – can you articulate the values you are working to adopt? Maybe write those down in language that lets you use them as a test comparison. Encourage, or discourage, this person from sharing the truth (especially bad news)? Add, or subtract, fear from the environment or the next conversation? Encourage, or discourage, the sharing of ideas? Encourage, or discourage, a test or challenge of my assumptions? Encourage, or discourage, horizontal coordination across functional boundaries? Have this person look forward to our next conversation? Fill in your own questions here, but you get the idea – get explicit, and ask Yes or No questions about the expected impact of the actions you are about to take. Use the same questions to reflect on the actions and conversations you had today. To change the outcomes we are getting we will have to practice new ways of interacting with those around us (and new ways of interacting with our own inner-voice – but that gets into psychotherapy). It does no good to berate ourselves when we make mistakes. That just induces stress and fear. “Avoiding mistakes” is the surest way to try nothing and to learn nothing. Though the word “coach” is overused to the point of being a meaningless cliche today (much like the word “lean”), having someone to ask the hard reflection questions is much more helpful than trying to do this as an inner conversation in your own head. Unfortunately a lot of work places don’t provide this kind of support and encouragement. If that describes yours, then I’d encourage you to enlist a friend or confidant, or hire someone who isn’t embroiled in your “stuff” every day. That makes them more likely to challenge your excuses and the Basic Story you tell yourself to justify what you do. Having formal authority certainly helps get stuff done, but it is not the same as leadership. Nor is formal authority required to exhibit leadership. Many of you (my readers) are expected to exert influence without having formal authority. And I fully understand the frustration that can come with this – been there, done that. What works? I don’t know. Nobody knows. There isn’t a formula or recipe for effective influence. Rather there is working consistently in ways that build cross-linked networks of trust and mutual accountability between people at the working levels you can reach. Getting there requires “grasping the current condition” of the organization’s dynamics, developing an interpretative story (or multiple stories), then running deliberate experiments as you seek to learn what works to influence those dynamics. This is what Ron Heifetz and Martin Minsky call “Adaptive Leadership.” The Toyota Kata model adapts very easily into theirs, by the way. And my self-plug: If you want to go into a little more depth on this topic, come to the Toyota Kata Summit (aka KataCon) in Savannah in February (2019) and attend the “Experiential Workshop” that Craig and I are putting on. Be part of our experiment as we explore together mechanisms that we can practice to apply these concepts in real life. *The “did I make my very best effort…” questioning is from “Triggers” by Marshal Goldsmith and Mike Reiter. How Does the Teacher Learn? In my last post, If the Student Hasn’t Learned…, I made the point (again) that sometimes trying too hard to impose a formal structure on a learner can impede their progress. Since writing that, I have been doing a bit of reflection on my own development as a coach, and I need to give credit where it is due. 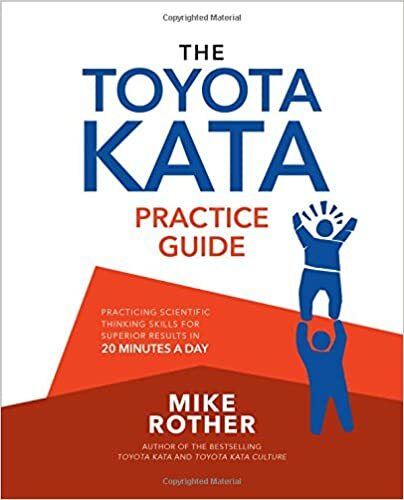 As any regular reader knows, I have been an enthusiastic student and practitioner of Mike Rother’s Toyota Kata since I first read the book. I have written extensively about it in this forum. And I have made my own modest contributions to the practice. It has been over this time, and countless cycles of guiding beginning (and intermediate, and expert) learners through The Five Questions that I can hold the structure in my own head while not imposing rigidity onto others. I will always default to using the formal structure because I think, in the vast majority of cases, it sets a better foundation. And even in those cases where I have to let go of the structure, that is a temporary countermeasure. Once my learner is comfortable with the meta-patterns, then the structure follows, and makes sense to them. Some people learn that way, and I have to be able to pick that up. I may have been an OK coach before all of this, I likely overestimated my ability at the time. Today, though, thanks to the Toyota Kata structure, I am becoming more comfortable with… not letting go if it, for I hold it in my own mind, but maybe withholding the framework and letting the learner fill it in more fluidly. As we are boring down on the 10th Anniversary of Toyota Kata, and the 5th KataCon, we have a great opportunity to look at how the pattern that Toyota Kata teaches reaches far beyond process improvement and problem solving. I will be speaking on the topic of Developing Leaders for Continuous Improvement on Day 1, and yes, we can use the same meta-patterns. Craig Stritar and I will be taking a much deeper look into the same principles in our Experiential Workshop. If you want to get a hands-on, reflective look at meeting your challenges as a change agent, come join us there. In reality, the teacher learns by sharing and swapping experiences with others. I am not going to try to list everyone you will, and should, meet at KataCon here because I would surely leave someone’s name off my list by accident. But look at the presenters and speakers. I know most of them and were I not presenting my own workshops and breakouts, I would be hard pressed to decide which ones to attend. You can’t make a mistake here. A lot of that reflection has been around consolidating what I learned at from Rich Sheridan, James Goebel and all of the other Menlonians that I have the privilege to know now. That work was punctuated, though not completed, by my keynote at KataCon last February (2018) where I followed Rich Sheridan and described my interpretation of the underlying meta-patterns that exist in pretty much any organization that we would call exceptionally good at what they do. At the same time, another client (Thank you, Tomas!) introduced me to Ronald Heifetz and Martin Linsky’s body of work under the umbrella of “Adaptive Leadership.” From their model I think I picked out a fundamental failure mode of what we like to call “change initiatives” regardless of what tool set of operational models we are trying to deploy. and every paper and article I could find on the topic or about people’s experience. While doing this, I have tried out many of the teaching and coaching processes as well as applying the observation, interpretation and intervention skills in the course of my work. Those of you who participated in the Experiential Workshop that Craig Stritar and I put on at KataCon early this year were seeing the outcomes of this work up to that point. My latest step was taking a three day seminar Your Leadership Edge from the Kansas Leadership Center in Wichita the 2nd week of August. The KLC’s model and methods are built on the Adaptive Leadership model. My intended outcome was to consolidate some of my understanding by getting the external perspective and participating within their structure. The number one frustration of “change agents” out there is some form of “How to I get buy-in?” I know I have experienced that myself. It is easy when all of the constituencies and factions within the organization are well aligned on purpose and values. Not so easy when there are conflicts. I think the Adaptive Leadership model gives us an approach we can learn by practicing. It also mirrors the steps of problem solving / continuous improvement that are outlined in Mike Rother’s Toyota Kata. The context for action is different, but the process is the same: Learning what works through experimentation. That is the “adaptive” part of Adaptive Leadership. This post is just some background around why I am pursuing this line of thought. As always, I write about things like this to force myself to improve my own understanding by having to explain them in the simplest possible terms. I am happy to have any of you along the journey with me, so subscribe or check-in or whatever and let’s see what we can learn. HBR: Managers Think They’re Good At Coaching. They’re Not. Many years ago, those words began a 20 minute session that I can best describe as an “a** chewing.” The boss systematically went through all of the little notes he had been saving for over a year – like the fact that someone had commented that I had a cow lick in my hair one day many months ago, which was framed as “lack of grooming.” None of this, of course, had anything to do with what had triggered the tirade. As I recall I had scheduled a meeting with a supplier over something that he had thought was more important. Needless to say, the guy didn’t have a lot of credibility with the group, as this was pretty normal behavior. While my (real life!) example may have been a somewhat extreme case, a recent HBR article by Julia Milner and Trenton Milner titled Managers Think They’re Good at Coaching. They’re Not offers up some preliminary research that supports the hypothesis in their title. What they found was that what most managers described as “coaching” was, in fact, offering direction couched in the form of advice. I can see where it would be easy to argue about whether or not “teaching them” is actually different from “helping them learn” but I tend (these days) to come down on the side of seeing a big difference. And, indeed, I see the effect of managers trying to always be “the answer man” every day – even this week as I am writing this. coaching is a skill that needs to be learned and honed over time. This, of course, is consistent with the message that we Kata Geeks are sending with Mike Rother’s Coaching Kata. The challenge for these managers is the same as that posed by Amy Edmonson in a previous post, It’s Hard to Learn if you Already Know. Unfortunately just memorizing this list really isn’t going to help much, because there are effective ways to do these things; and there are ways that seem effective but, in reality, are not. The question I would like to examine here is how practicing the Coaching Kata might help build these skills in an effective way. I’m going to start with the second from the last: Providing structure. The very definition of kata implies a structure. Especially for that critical early practice, the Coaching Kata and Improvement Kata provide a mutually supporting structure for both the Coach and the Learner to practice building their skills. The Starter Kata that Mike Rother describes make up the most rigid form of that structure with very specific activities designed to push problem solving and coaching skills. As the organization matures, of course, that structure can shift. But even very mature organizations tend to have “the way we do things” which provides a safe structure that people can practice and experiment in. Ironically, this is the very purpose of standardization in the Toyota sense. (This is very different from what most organizations think of as “standards” – where experimentation is forbidden! )Without this baseline structure, sound experimentation is much more difficult. Continuing to skip around on the list, let’s look at assisting with goal setting. 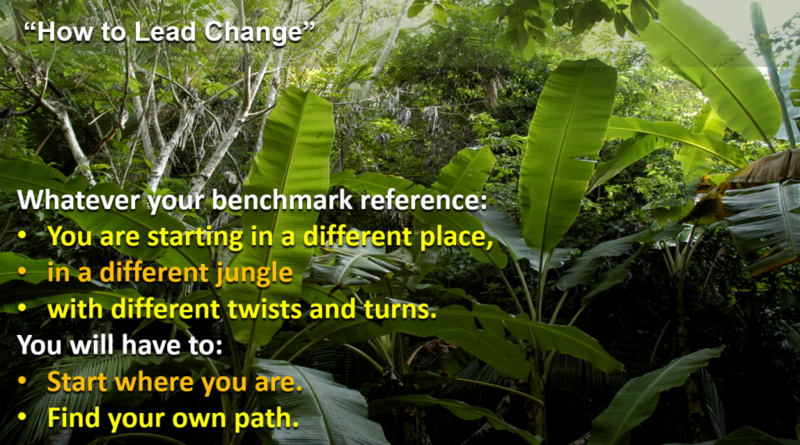 The very first step of the Improvement Kata is Understand the Challenge or Direction. Right at the start, the coach must assist the learner with developing this understanding. At the third step we have Establish the Next Target Condition. Here, again, the coach practices assisting the learner to develop a target condition that advances toward the challenge; is achievable; and is challenging. While novice coaches can struggle with this, the structure of the Improvement Kata gives them a framework for comparison. In addition, the learner’s progress itself becomes data for the coach’s experiments of learning. Of course questioning is the hallmark of the Coaching Kata. We have the “5 Questions” to start with, and they provide structure for not only questioning but listening as well. There is a critical difference between giving feedback and giving advice, and beginning coaches – especially those who have formal authority – frequently fall into the trap of “leading the witness” – asking questions intended to lead the learner to their preferred answer. Giving feedback, on the other hand, might be more focused on pushing a bit on untested assumptions or gaps in the learner’s logic or understanding of the chain of cause-and-effect. 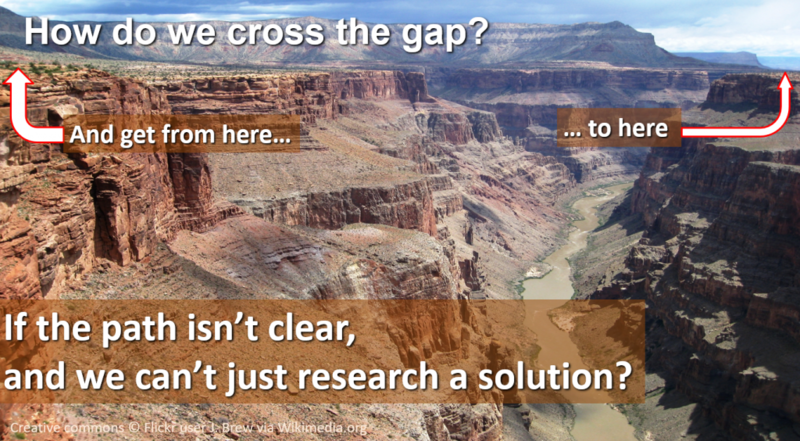 I am going to make an interpretation of encouraging a solution based approach and assume this means exploring the space of possible solutions with experiments vs. “jumping to solution” and just implementing it. I could be wrong, but that is the only interpretation I can think of that fits with the context of the other items on the list. And finally are the softer skills of showing empathy and recognizing and pointing out strengths. I think it is unfortunate that these skills are typically associated with exceptional leaders – meaning they are rare. These are things I have had to learn through experimentation and continue to work on. But I think I can say that my own practice of the Coaching Kata has given me a much better framework for doing this work. The Coaching Kata framework is certainly not the only way to develop coaching skills. We have been training effective coaches long before 2009 when the original book was published. And there are very effective training and mentoring programs out there that do not explicitly follow the Coaching Kata / Improvement Kata framework. BUT I will challenge you to take a look at those other frameworks and see if you don’t find that their underlying framework is so similar that the difference is more one of semantics than anything else. In my next few posts, I am going to be parsing a course I recently took that is just that. I’m going to break a rule of blogging and acknowledge I’ve been pretty much offline for quite a while since the last post. But I also want to push through what I started because this all leads to more. My next pages of notes I took at Menlo were about crafting a message for a Kata Geek audience – what is it about Menlo’s process and culture that is relevant to them (you?). Again, I am going to pretty much transcribe my notes, though I am going to edit a bit as I wrote them in first person as though I was Rich, and I am not going to do that here. In the end, these became a foundation for the keynote I ended up giving following his. Key Point: These words are mine, and no one else’s. I do not pretend to speak for Rich or anyone else, I was simply consolidating my own thoughts by using a possible talk as a vehicle for myself. Theme: The Improvement Kata: Experimenting to create a deliberate culture. We are probably all after the same thing: To create a workplace where people are excited to come to work every day. Ambiguity (that causes fear) has been eliminated. Relationships are strengthened every day. If you are in charge, there is nothing and no one stopping you. It is a matter of knowing what you really want, and being accountable to yourself and your team to create it. Joy is very different from happiness. Joy is what we experience with the release of creative tension (figuring it out). Winning a game against a tough opponent. We can also experience joy with relief or resolution from psychological or physical danger – the same brain chemicals are at work – but this is DRAMA, not creative attention. We don’t want this, because it is relief from FEAR, not a sense of accomplishment. To create joy in others, you must fist look at yourself. “The most dangerous thing you can do is try to pretend you know when you don’t” – leads to paralysis by fear of discovery. Until you can comfortably say “I don’t know” to yourself, you will be unable to learn. “Find a a coach / be a coach” with whom you can create a bubble of safety to explore your own threshold of knowledge as a change agent. Arm yourself with allies. In a large organization, middle management sets the tone. This is the end of the notes I was taking, but these themes get explored more deeply as I continued this journey. The 2018 Toyota Kata summit (KataCon4) ended several weeks ago. During the first three summits, I posted daily updates. This time I didn’t. Since the conference ended, I started a couple of posts trying to summarize but it’s been difficult. Here’s why – Starting last December when I visited Menlo, I’ve been learning and thinking so fast that by the time I wrote anything down, what I wanted to say had changed. So KataCon4 was, for me, an event along a timeline, and I haven’t been able to separate those three days from everything else. As part of my own effort to reflect and consolidate where I am, I am going to do my best to write up where I have been along this little journey and share it with you. Even now, I am probably going to do the best I can to capture this stream of consciousness, not necessarily a concrete insight (yet). I’m going back to December. What follows is largely unfiltered from the notes I took on a yellow pad while sitting in Menlo’s work space. Some of this is just my impressions, some of it is thoughts for a message for KataCon. I’m going to format the notes as quotes, to distinguish them from any afterthoughts I am adding as I review them to write this. I am the only person here not talking to someone. Innovation follows the IK pattern. Learn it. Use it on everything you do. That quote (above) is painted in big letters in one of the two meeting rooms at Menlo. The rooms have glass walls facing the work area. Thought: Imagine creating a screenplay like this. What I meant here was I could totally envision a workshop of writers all working on scenes that would assemble into a comprehensive story. The organization seems that robust for coordinating multiple parallel efforts toward a common, integrated goal. Quick ( <5min ) stand-up meeting on how to handle communicating a mistake to a client. At meeting, estimate time to complete. Create a “story card” put on board. Thought: the structure drives the IK pattern more than the conversations. The structure has evolved with this purpose – to ask and answer the “5 questions” automatically, unconsciously, as an inherent part of the work. They don’t ask the 5 questions, but as a part of the daily routine, the answers to them are explicitly, or implicitly, discussed. The embedded repeating patterns are deliberately designed into the work. Maintain direction and challenge between Menlo and the client. – Developed iteratively through HTA process. This process highly structured but organic and evolving as required to meet needs as we learn. It is a complex system, anchored, evolved from simple systems that worked. You can’t copy it, you have to develop it through your own deliberate learning. Started with “Let’s try it” on a small scale, even though there is tons of literature describing it. How we feel [values] drives how we think. How we think drives what we do. Get crystal clear on your values. What will you absolutely do? What will you absolutely never do? Next Post: Making this relevant for the Kata Geeks. One of the main reasons to attend KataCon is to learn from others. While many conferences are an audience listening to keynote presentations, KataCon is more of an annual get-together of a community. Whether you are considering attending for the first time (please do! ), or a veteran “Kata Geek,” it is an opportunity to learn how people are applying the core principles of mutual learning to their challenges and problems. One of the co-hosts this year is Skip Steward. I first met Skip face-to-face at KataCon 1 in Ft. Lauderdale. The work he has facilitated (I think he would push back if I said “led”) within the Baptist Memorial Healthcare system has been remarkable. When Jim first asked me to host, I had to think long and hard. It was two weeks before I responded. This was way beyond my own threshold of knowledge. Then I thought, if it makes me uncomfortable, that’s OK, it is something I should do. What value do you get from attending KataCon? If I can only go to one conference a year, it is KataCon, period. I go because I want to hear the how people have struggled and how they overcame obstacles. Something every year impacts my thinking. For example – I think it was Beth last year that said “We don’t experiment toward the target condition, we experiment against obstacles.” That was a profound insight for me. Another was when someone asked about “just go do” items in the Kata Geek meetup, and you and Mike both said “Sometimes a go-do is an experiment.” I realized how important it is to always have an expected outcome and check what actually happened, even for a “just go do it” item. How would you characterize your journey so far? Mark, you know what we’re trying to do at Baptist – it is never about “implementing lean.” It is about creating a management system, and Kata is the meta-routine behind all good management systems. When people come to visit us, they always ask about elements. “How do you think about implementing standard work?” or “How do you think about implementing Job Instruction?” I tell them, “I don’t think about implementing anything.” Instead, we have an experimental mindset. We use Kata to learn. That lets us avoid training for its own sake. Instead we experiment our way forward as we learn how to do something. What About You (the reader)? Are you a KataCon regular? Or coming for the first time? Either way, I’d love to hear from you. Let me know your experience, or what you expect to learn, and whether or not I can write about it here. When I landed in Detroit last week to visit Menlo Innovations, Mike Rother picked me up at the airport. As soon as I settled in to the passenger’s seat, he handed me my long-anticipated copy of his new book The Toyota Kata Practice Guide. That is the first disclaimer here. The second disclaimer is that last winter he asked if I would do him a favor and take a look through the manuscript with a red pencil. Um… YEAH! Thus, I can’t say this post is an unbiased book review. Quite the opposite. Why I think this is a great read for anyone, no matter your skill level or experience with Toyota Kata. Reflections on my own experience that may have been amplified as I went through it. The other caveat I really have to offer is this: I have the hard copy of the book. I am absolutely referring to it for the content I am citing. That being said, I drew a lot of the deeper insights I am reporting when I was parsing the manuscript. That was much more than “reading” as I had to really think about what the author is trying to say rather than just read it. If you are serious about learning, I suggest you take your time as you, too, go through the book. Don’t just read. Parse. And a final disclosure: if you click on the links mentioning the books, it will take you to the Amazon.com page. If you choose to buy the book, I get small affiliate kickback that doesn’t affect the price you pay. From my perspective, I think Toyota Kata as a topic has evolved quite a bit since the original book was published in 2009. The Practice Guide reflects what we, as a community, have learned since then. As I see it, that evolution has taken two tracks. On the one hand, the practice has become more sophisticated as people explore and learn application in contexts other than the original industrial examples. Mike Rother and Gerd Aulinger published Toyota Kata Culture early this year. That book provides working examples of vertical linkage between organizational strategy and shop floor improvement efforts. Most of the presenters at Lean Frontier’s recent online Kata Practitioner Day were describing their experiences applying what was outlined in that book. Last year’s KataCon featured a number of presenters who have adapted the routines to their specific situations, and we have seen the Kata morph as they are used “in the wild.” This is all OK so long as the fundamentals are practiced and well understood prior to making alterations – which brings us to the second point. The other evolution has been a better insight that the Improvement Kata and Coaching Kata are, in Mike Rother’s words, Starter Kata. They aren’t something you implement. They are routines to practice as you develop the underlying skill. If you go to a Toyota, or a Menlo Innovations, you won’t see them using Toyota Kata. They don’t have to because the routines that the Kata are designed to teach are already embedded in “the way we do things” in organizations like that. We use the Improvement Kata and Coaching Kata to learn so that, at some point in the future, we too can create a culture where the underlying thinking is embedded in “the way we do things.” You don’t have to think about it, because it is a habit. Rather than being a fairly high-level summary of the research findings (as the original book was), the Practice Guide is what the title suggests: A step-by-step guide of how to practice and what to practice. With all of that as background, let’s dig into the book. The book is divided into three discrete sections. I’m going to go through the book pretty much in order, with the section and chapter titles as headers. The first part of the book is really an executive summary of sorts. It is an excellent read for a manager or executive who wants better understanding of what this “Toyota Kata” thing you (my reader here) might be advocating. It sets out the fundamental “Why, what and how” without bogging down in tons of detail. The next key point is that “scientific thinking” is not the default habit of the vast majority of adult humans – for lots of good reasons leading to our survival as a species. It is a learned skill. Learning a skill requires practice, plus knowing what and how to practice. The Improvement Kata provides a pattern for practice as well as initial routines to follow in order to get the fundamentals. And that point is what separates the Practice Guide from the vast majority of business books. Most business books speak in general terms about principles to apply, and ways you should think differently. They are saying that “you need to develop different habits,” and even telling you what those habits should be, but come up short on telling you how to change your existing habits to those new habits. Thus if you, the reader of the book, are willing to say “I want to learn this thinking pattern,” as well as say “… and I am willing to work at it and make mistakes in order to learn,” then this book is for you. Otherwise, it probably isn’t. That’s OK.
For the rest of you, read on. Chapters 2, 3 and 4 go into increasing depth on the process of “deliberate practice” how the structure of the Improvement Kata and Coaching Kata supports it. At a high level the “Improvement Kata” is expressed as a four step process that maps to pretty much any process of learning, discovery or problem solving that works. The discrete steps you should practice, including detailed “How to” instructions as step-by-step Starter Kata that a learner should follow precisely while he is grounding on the basics. I do, though, want to discuss the one step where I can see people having the biggest struggle mapping the explicit Starter Kata to their own situation: Grasp the current condition. The book devotes several pages to how to carry out each of these steps. However, the examples given in the book, and the way it is usually taught, use the context of industrial production processes. This makes sense. Industry is (1) the origin of the entire body of thought and (2) the world the vast majority of practitioners live in. But we legitimately get push-back from people who live in a world outside of industry. What I have found, though, is when we work hard to figure it out, we can usually find solid analogies where the Starter Kata do apply to practically any non-industrial process where people are trying to get something done. Often the mapping isn’t obvious because people in non-linear work are less aware of the repeating patterns they have. Or they live in worlds where the disruptions are continuous, and though a cadence is intended, it seems to be impossible to achieve. However, if you are legitimately making an effort, and having trouble figuring out how to apply the Starter Kata outlined in the book to your own experience, here is an offer: Get in touch. Let’s talk and see if we can figure it out together. The concept of “Starter Kata” is new since the publication of the original book. Actually it isn’t really new, just much more explicit now. When we see working examples, such as in books about A3 Problem Solving, we are often looking at the work of people who are unconsciously competent, if not masters, of doing this. If you are trying to understand what Toyota Kata is about, or you are trying to up your own skills for process improvement or problem solving, then read the steps that are set out in the book and follow them exactly as they are written to the best of your ability. Do this even (especially!) if they don’t seem 100% appropriate to the problem you are trying to solve. “But I’m not a beginner” you might say. This is the new and exciting part. While there has been a fair amount about the Improvement Kata out there for a while, the only things we have had about coaching have been the “5 Questions,” a few YouTube videos and some general principles. I’ve tried on this site to relate my own experiences as I learned, but The Toyota Kata Practice Guide is, in my view, the first truly comprehensive reference that wraps up everything we knew up to this point in a single reference. Though this is part of the message in the book, what follows are my own experiences and interpretations. Nearly all managers want to jump right into coaching. They see the “5 Questions” and some of them think that is all there is to it – just ask those questions and we’re good. Actually, that’s kind of OK so long as you realize that you are probably making mistakes, and are consciously and deliberately reflecting on what those mistakes might be. But that reflection is often what doesn’t happen – people tend to presume competence, and don’t challenge their own role if they see learners struggling. It is a lot easier for me to blame the learner, or to say “this kata thing doesn’t work” than it is to question my own competence. Until you have struggled as a learner to apply the Improvement Kata (using the Starter Kata) on a real problem (not just a classroom exercise) that affects the work of real people and the outcomes to real customers, please don’t just pick up the 5 Questions card and think you are a coach. If you truly understand the Improvement Kata, and then go to a Toyota, or other company that has a solid practice for continuous improvement, you will readily see the underlying patterns for problem solving and improvement. Coaching, though, is a bit more abstract – harder to pin down into discrete steps. Read John Shook’s excellent book Managing to Learn (and I highly recommended it as a complement to The Toyota Kata Practice Guide), and you will get a good feel for the Toyota-style coaching dialog. You won’t read “the 5 Questions” in that book, nor will you see the repetitive nature of the coaching cycles that are the signature hallmark of Toyota Kata. There are a couple of ways to learn that master-level coaching. One is to work your entire career in an organization that inherently thinks and talks this way. If you do, you will pick it up naturally “as the way we do things” and won’t give it another thought. Human beings are good at that – its social integration into a group. Imagine, if you would, growing up in a community where everyone was a musician. Thinking in the structure of music would be innate, you wouldn’t even be aware you were doing it. Growing up, you would learn to play instruments, to sing, to compose, to arrange music because that is what everyone around you was doing. That is also how we learn the nuance of language. We can see throughout history how mastery in arts tends to run in families. This is why. And that is how the coaching character in Managing to Learn gained his skill. The question Mike Rother was trying to answer with his original research was “How can the rest of us learn to think and coach like that?” – when we don’t live in that environment every day. In those cases we have to be overt and deliberate. The real contribution that Mike has made to this community is to turn “coaching” from a “you know it when you see it” innate skill into a routine we can practice to learn how to do it. I can’t emphasize that enough. OK – with all of those rambling thoughts aside, let’s dig back into the book. As in the previous section, we begin with an introduction section that gives an overview of what coaching is actually all about. Then the following chapters successively break down the coaching cycle into finer and finer detail. A key point that bears emphasizing here is that the purpose of coaching is to advance the learner’s knowledge, both of the process being addressed and the “art of scientific thinking.” Thus, the reason the coach asks the questions is to learn where the boundary is between what the learner knows, and what the learner doesn’t know. Often the learner himself isn’t aware of that boundary. Again, it is human nature to fill in the narrative, complete the story, and create meaning – jump to conclusions even with limited evidence. By asking for specifics, and by gently asking for evidence – “How do you know?” types of questions, the coach learns that point where the learner moves beyond objective facts and into speculating. (Or, ideally, says “I don’t understand” or “I don’t know” about something that needs to be understood or known.) The “next step or experiment” should be a step that pushes that threshold of knowledge boundary out a little further. This chapter wraps up with some advice about when (and why) you (as a coach) might need to let go of the formal structure if a learner is struggling with it. After the overview, Mike gets down to what to do, how do give good corrective feedback, and keep the learner in the game psychologically. He then gives us a detailed example coaching dialog, and afterwards, puts us into the role of the 2nd Coach, challenging the reader to predict what feedback the 2nd coach should give before reading what actually happens. Key Points – Advice that reflects feedback and helpful tips gained over the years from the entire community. Clarifying Questions – Possible follow-on questions that can help the coach clarify what the learner is intending and thinking. Potential Weak Points – Things to specifically look for that can help the learner construct better logical connections and experiments. This chapter, in my view, is alone worth the price of the book. Everything else is bonus material. This post took me quite a bit longer to write than I predicted it would, and I’ll judge that it is still rougher than I would like. But I am going to suppress my inner perfectionist and put it out there. Anyone who knows me is aware that, even before it was published, I have made no secret about touting this book to anyone who is interested in continuous improvement. In the end, though, this book is asking you to actually do some work. People who are looking for easy answers aren’t going to find them here. But then, I really don’t think easy answers can be found anywhere if we are honest with ourselves. As I said about the original book back in 2010, I would really like to find copies of The Toyota Kata Practice Guide on the desk of every line leader I encounter. I want to see the books with sticky notes all over them, annotated, highlighted. The likely reality is that the primary readers will be the tens of thousands of staff practitioners who make up the bulk of the people who are reading this (you aren’t alone). If you are one of those practitioners, YOUR challenge is to learn to teach by the methods outlined here, and then learn to apply them as you coach upward and laterally to the leaders of your respective organizations. Those conversations may have different words, but the basis is still the same: to help leaders break down the challenges they face into manageable chunks and tackle the problems and obstacles one-by-one. The overall theme for the 2018 KataCon is practice – keying off of the release of this book. Come join us, share your experiences, and meet Mike Rother, Rich Sheridan, and other leaders in this awesome community. *Those of us who were taught by Japanese sensei, such as Shingijutsu (especially the first generation such as Iwata, Nakao, Niwa) were expected to follow their instructions (“Don’t ask Why?… Say “Hai!”). It was implied, but never stated, that we should reflect on the higher-level meaning. Over the years, I have seen a fair number of practitioners get better and better at knowing what instructions would be appropriate in a specific case, but never really understand the higher-level meanings or purpose behind those tools. Thus, they end up as competent, but mechanistic, practitioners. **Note: Mastering the Coaching Kata will not make you a therapist, though it may help you empathetically help a friend in need.